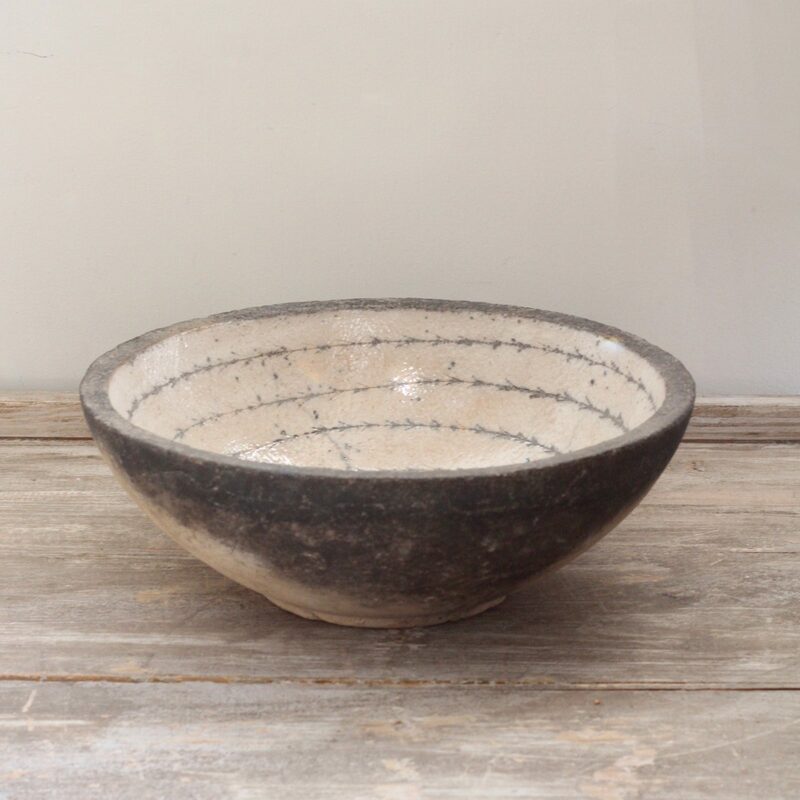 This stunning bowl is made using the Japanese ceramics technique, Raku. It is this technique which results in inconsistencies in the texture and finish of the ceramics meaning that no two pieces are alike. This example has a glazed inner decorated with an arrowhead motif which circles the inside of the bowl. This graphite coloured pattern sits on a warm peach pink background. The outer surface is unglazed and features the same smokey graphite and soft pink tones. This bowl would make a striking centrepiece.